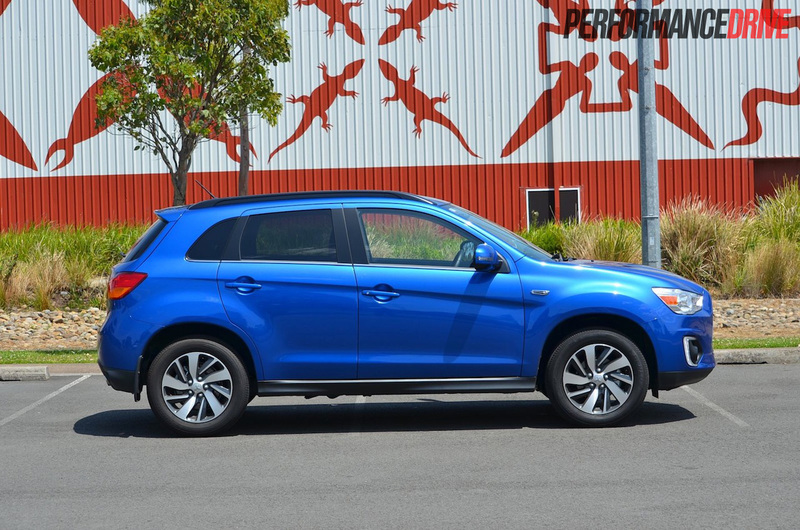 The 2015 Mitsubishi ASX has a lot going for it in terms of likability and drivability. 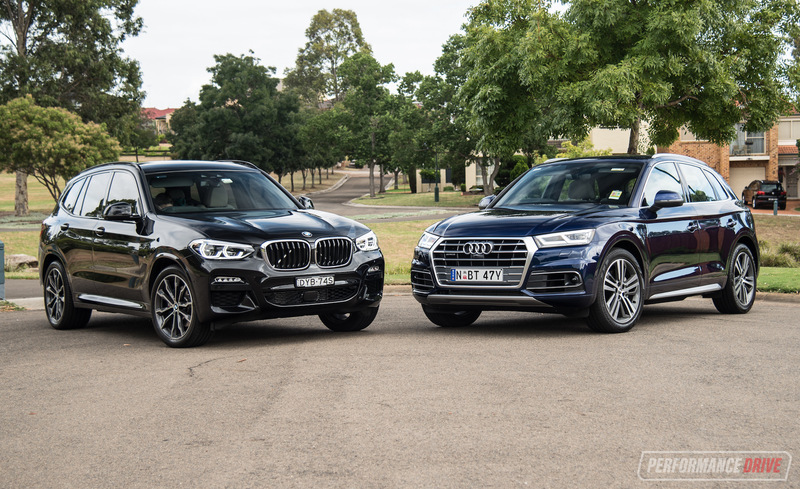 The only problem with the ASX is that a lot of its competition is new, while the ASX largely shares the same exterior and interior as it did back in 2010 when it was launched. For the month of November, the ASX was the best selling small SUV (1763 units sold, 23.6 per cent market share), nudging in front of the Hyundai ix35 (1697 units sold, 22.7 per cent market share), and doubling sales of the Subaru XV (918 units sold, 12.3 per cent market share). 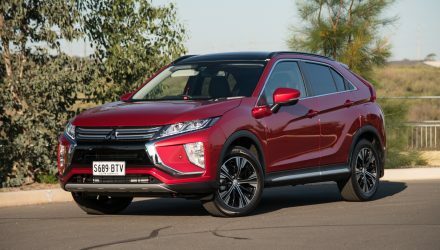 Vehicles that follow in fourth and fifth position are the Nissan QASHQAI (546 units sold, 7.3 per cent market share), and the Volkswagen Tiguan (543 units sold, 7.3 per cent market share). 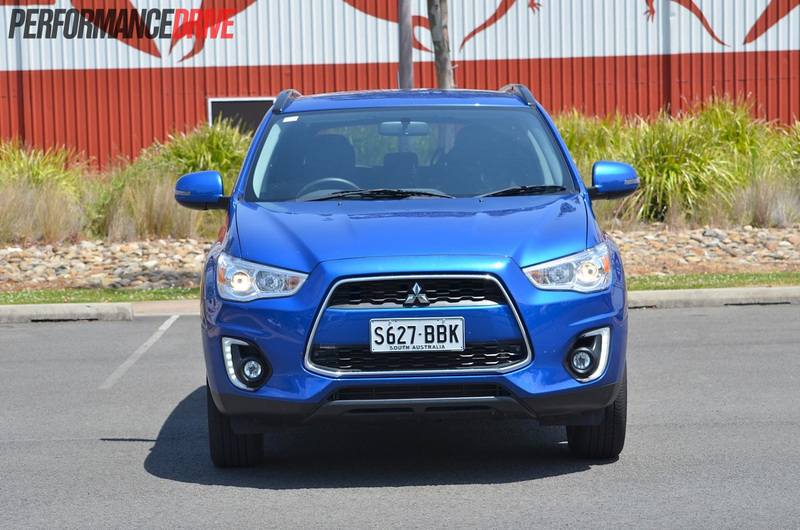 Starting off the range is the front-wheel drive ASX LS (as tested) priced from $24,990. 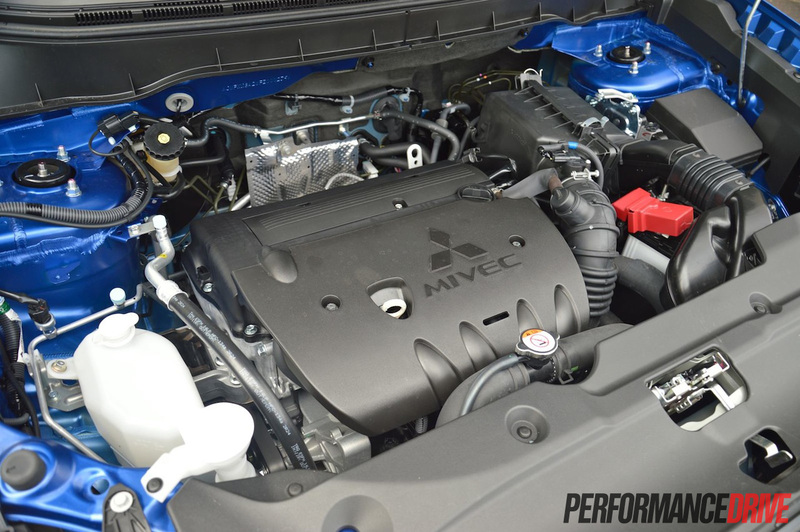 Under the bonnet sits a 2.0-litre naturally aspirated four-cylinder that produces 110kW and 197Nm. 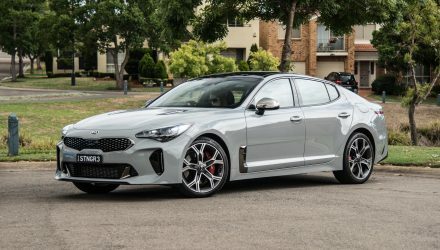 Connected up to that is a five-speed manual transmission, however those who favour of automatics can opt for a CVT for an extra $2000. 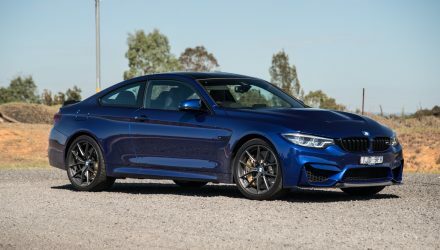 If it’s AWD you want, then you’ll have to spend $31,990 for the ASX LS AWD, which comes standard with a 2.3-litre turbo-diesel that pushes 110kW and 360Nm through a six-speed automatic transmission (no manual option for diesel models). 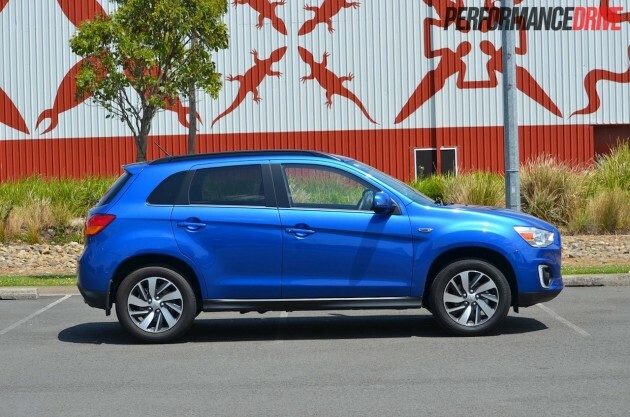 In terms of what equipment comes standard on the new MY15 LS model, you get a sharp set of 17-inch wheels wrapped with Dunlop SP Sport tyres, daytime running lights, a new a Lightning Blue colour option, a 6.1-inch touchscreen infotainment system, privacy glass, a chrome exhaust tip and beltline moulding, black roof rails, and a leather steering wheel and leather gear knob. 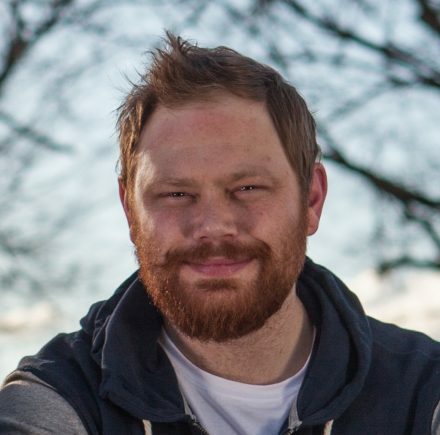 Jump inside the cabin and you right away notice that it looks more like 2009 rather than 2014. The design is very simplistic and not all that interesting. The dash consists of three rotary dials for the climate control, a hazard light button, a CD eject button, a volume knob for the touchscreen, and that’s pretty much it. If it wasn’t for the gloss black trim surrounding the 6.1-inch touchscreen things would be looking very dull indeed. 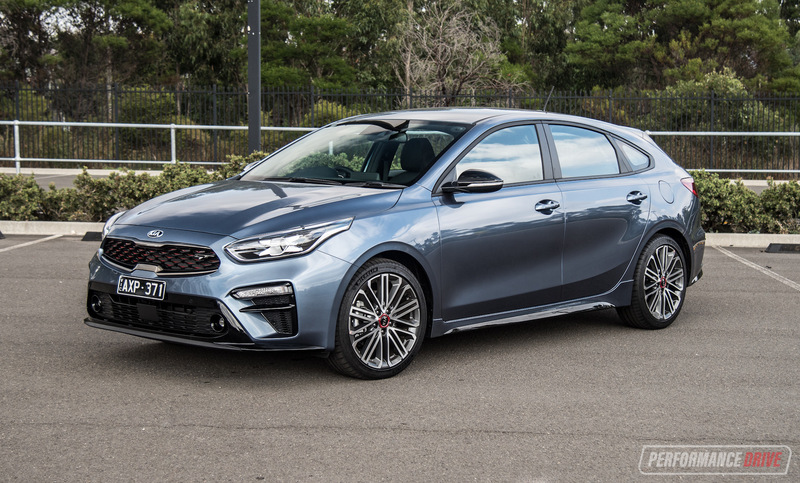 In saying that, over our week with the ASX we did warm to the simple design as it makes it very easy operate and find what you need on the go – the KISS formula. 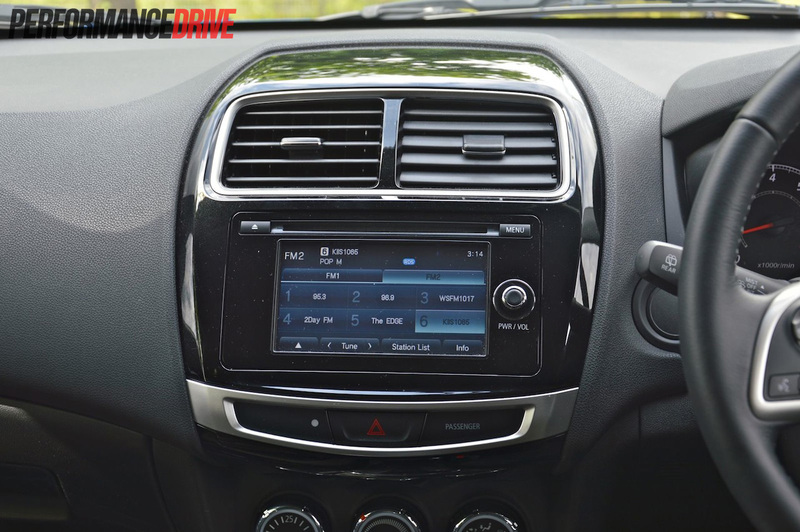 The 6.1-inch touchscreen media system comes as standard even in the base model, offering things such as USB and Bluetooth connectivity. It also comes with voice control for features such as phone and audio. 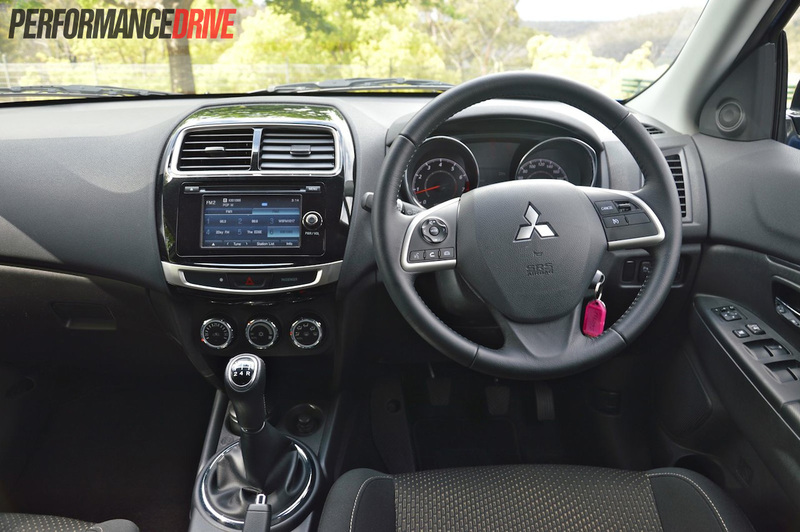 The touchscreen system offers easy-to-understand menus, and gives the cabin a more upmarket feel. The new ASX sees revisions to the fabric and trim used. Up front the cloth seats in the LS model are comfortable, but the padding is better suited to long trips more than it is for cornering. 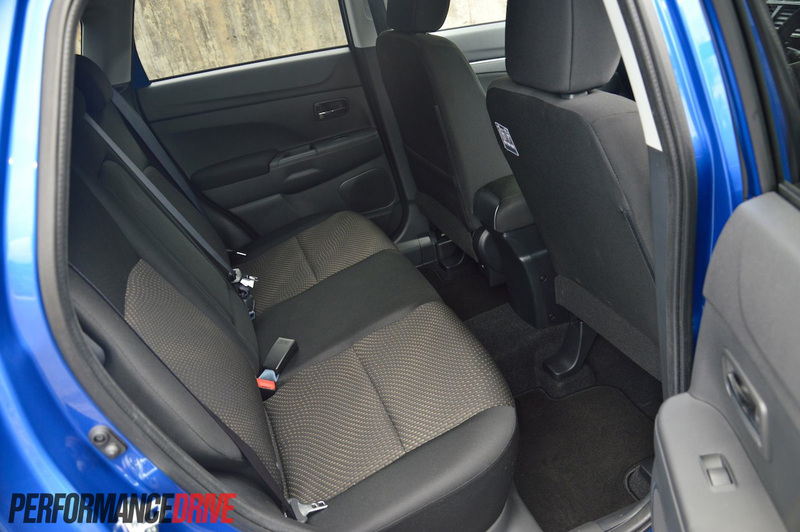 Things are just as comfy in the back, but legroom isn’t overly generous. The seat material overall is nice to touch and feels robust enough to endure a few kids. 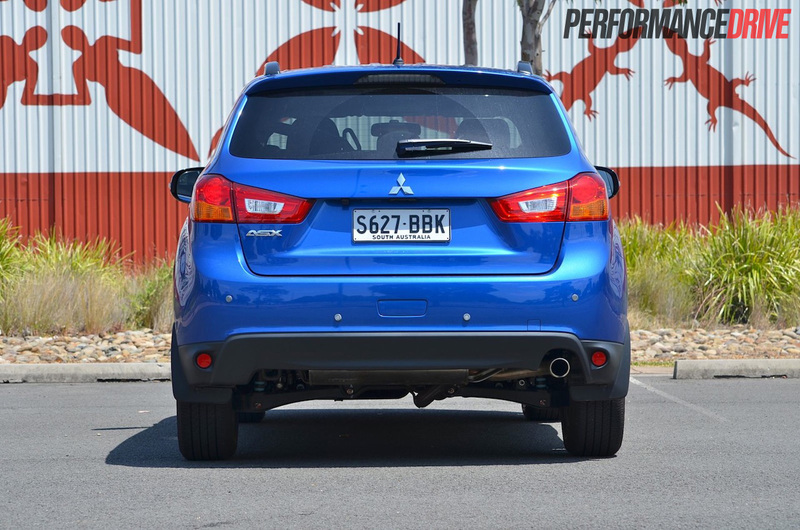 You might hear some whining from the kids on a hot day though, as the ASX has no rear air vents. 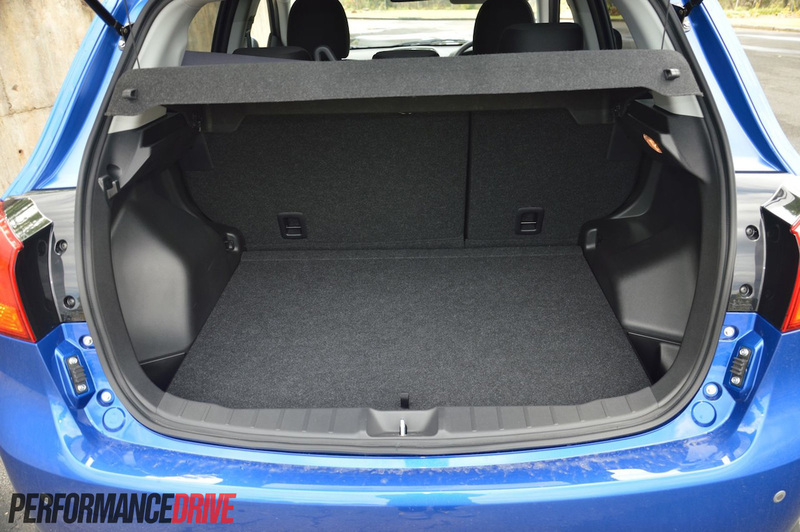 Storage-wise, there’s lots of little pockets and a decent-sized glovebox, but we found the 413-litre boot compartment a little tall and narrow to fit anything decent in there. For example, you will fit a pram but it’ll have to sit on its side and there won’t be much room left for anything else. 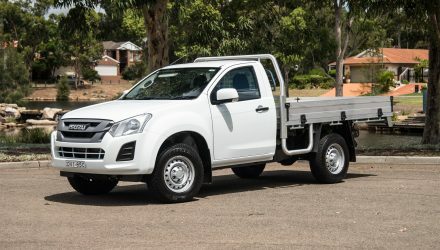 Lay the back seats down and you open up 693 litres of TV-swallowing space. 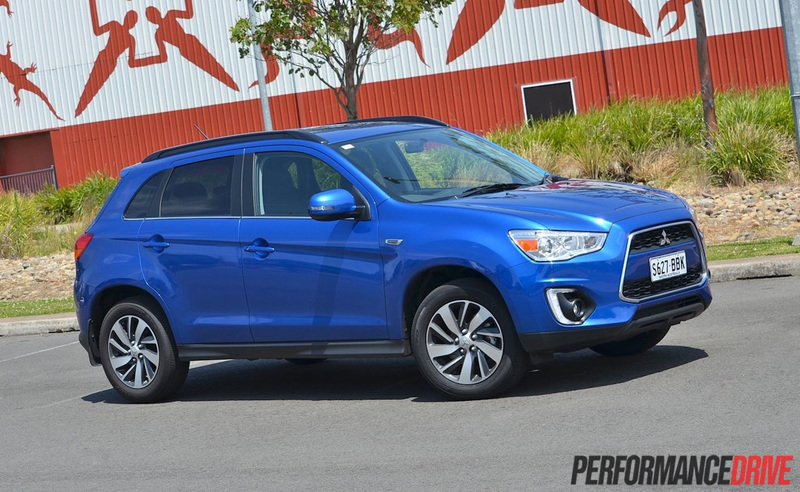 Access in and out of the ASX is probably one of its best points (like most SUVs). 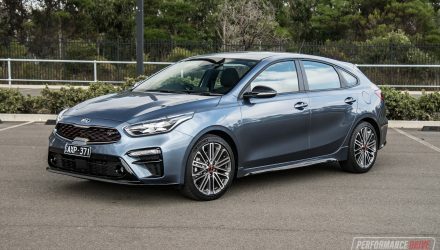 It’s one of those cars that makes a quick trip to the shops or the school run feel effortless, even with the manual transmission. 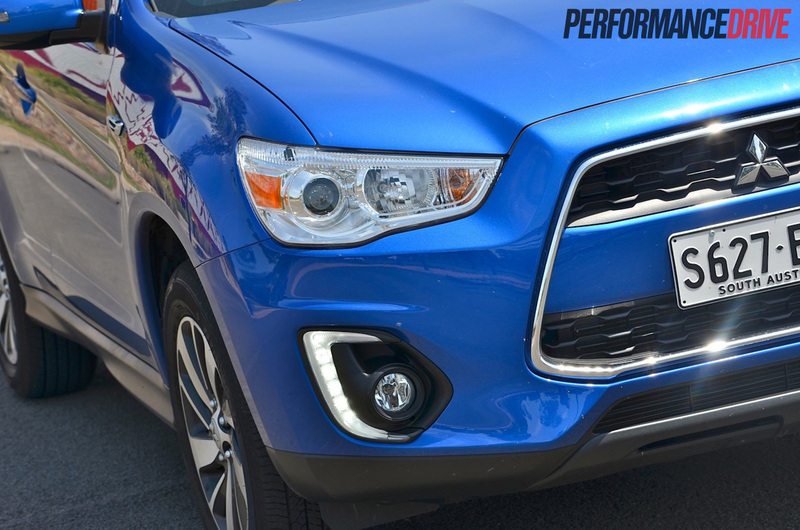 We like the fact the ASX LS 2WD model isn’t overly complicated; there’s no driving modes, there’s no steering modes, and it doesn’t require premium unleaded like a lot of the turbocharged units in some of its competitors. Safety-wise, the ASX has been awarded a full-star crash rating from ANCAP, and features seven airbags, and the typical suite of safety acronyms. The 2.0-litre engine delivers 110kW and 197Nm, and officially sips 7.4L/100km for the combined cycle. During our week-long test we noticed fuel consumption varied anywhere from 7.5L to 9.5L depending on how much you demand from the engine. Torque doesn’t peak until 4200rpm, which means you need to bring revs right up to notice any decent amount of acceleration. 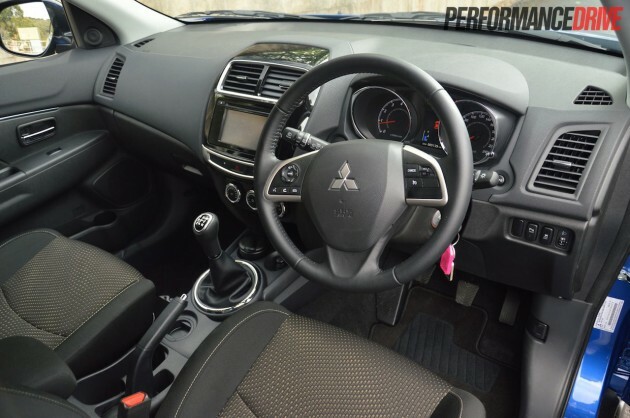 Once you’re on the move the engine provides enough poke and feels lively and rewarding. 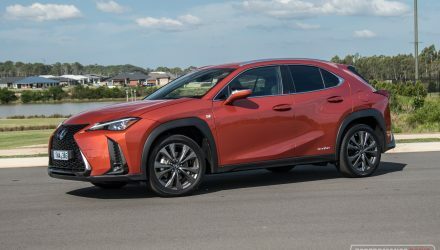 It’s certainly nice to use a manual transmission in a small SUV for a change, however this car could really do with six better-spaced gears. Some of the five-forward gears are too far apart, like first and second, which means you lose momentum when hustling about due to the lack of low down torque. The shift action itself is decent though, and the lever is easy to grab thanks to a high position and long neck. 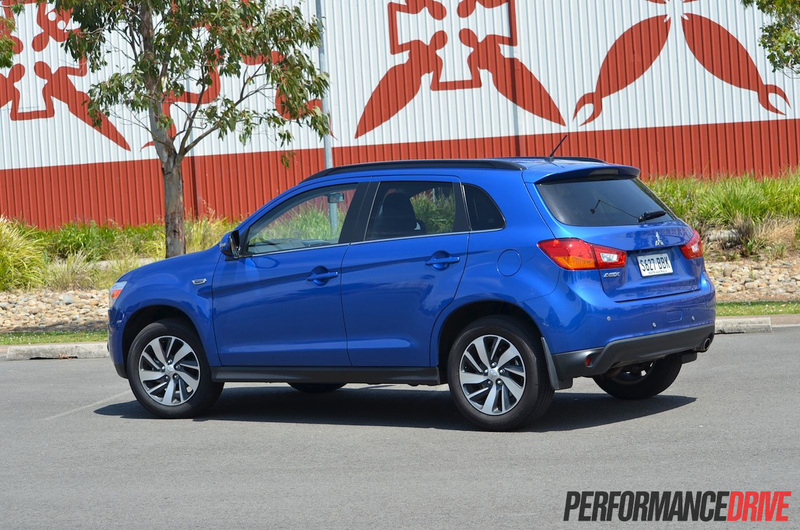 The ASX soaks up pretty much everything you can throw at it, but the steering can be thrown off by potholes or good-sized bumps in the road. 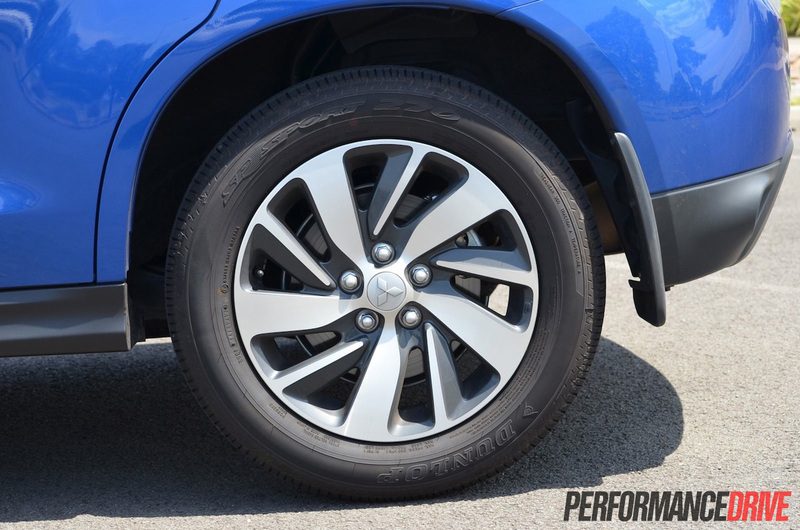 The ASX’s wheelbase is quite long at 2.67 metres, helping it maintain its composure when cornering. 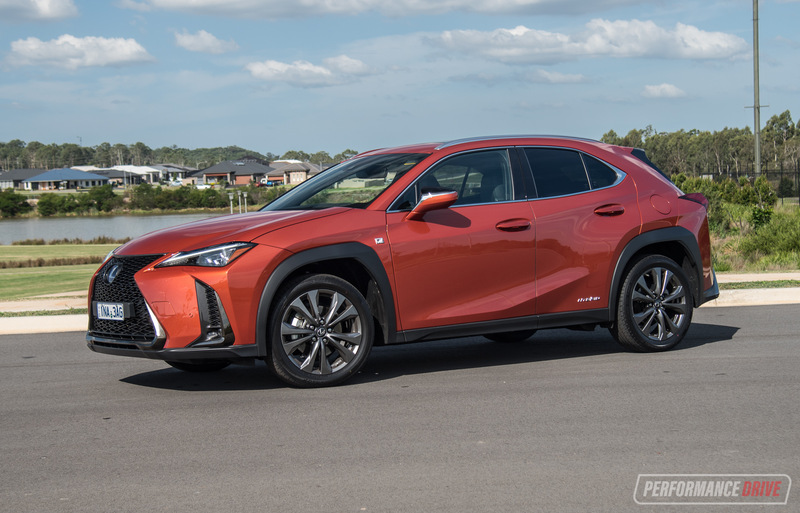 Given the SUV-like travel in the suspension there’s some evident body roll, but it’s not what you’d call sloppy or wobbly. When thrown around, the ASX feels quite active and willing to tip its nose into a corner. 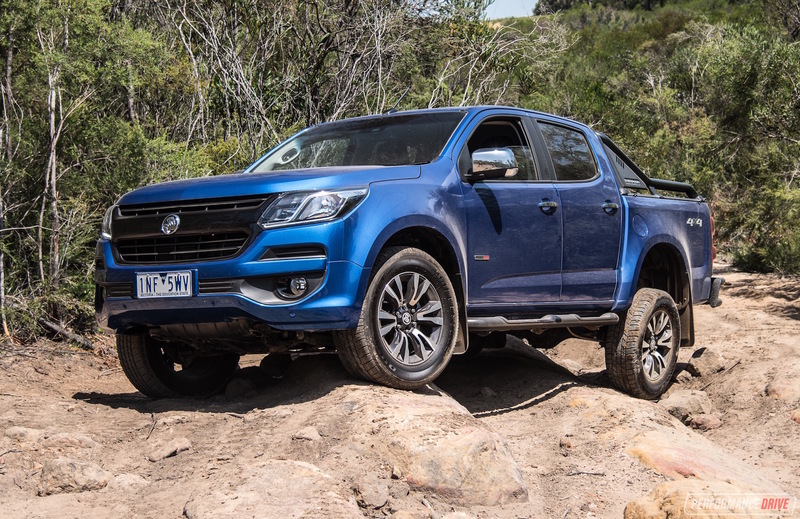 You do get some tyre squeal if you start pushing too hard, but it never feels threatening or sends any nasty surprises your way. 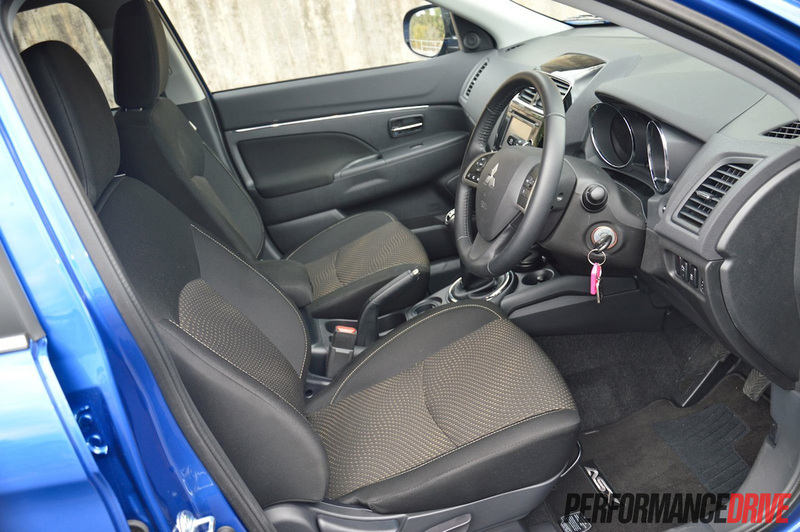 Under brakes the ASX feels just as capable as its competition, pulling up time after time with good brake pedal feel. 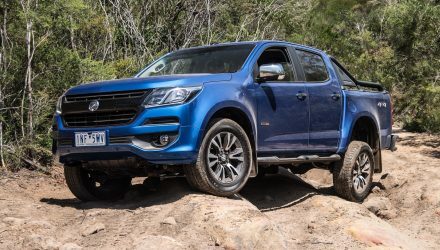 In terms of the ASX’s off road ability, it does benefit from a high ride height but is more suited to dusty roads and grass tracks than it is to clambering over undulated surfaces. The lack of 4×4 in the LS 2WD model means if things get slippery you’re gonna face problems. 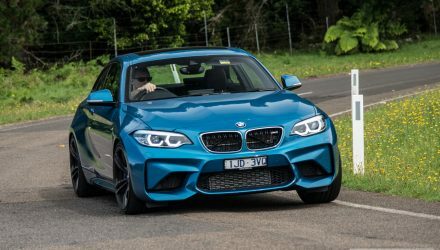 As we said, though, it’s more than ideal for a dusty road or a grass track, remaining as composed as it does on tarmac surfaces albeit with slightly less adhesion – which is to be expected. If you’re after a small SUV that’s fun to drive, easy to use, the ASX is definitely worth a look. 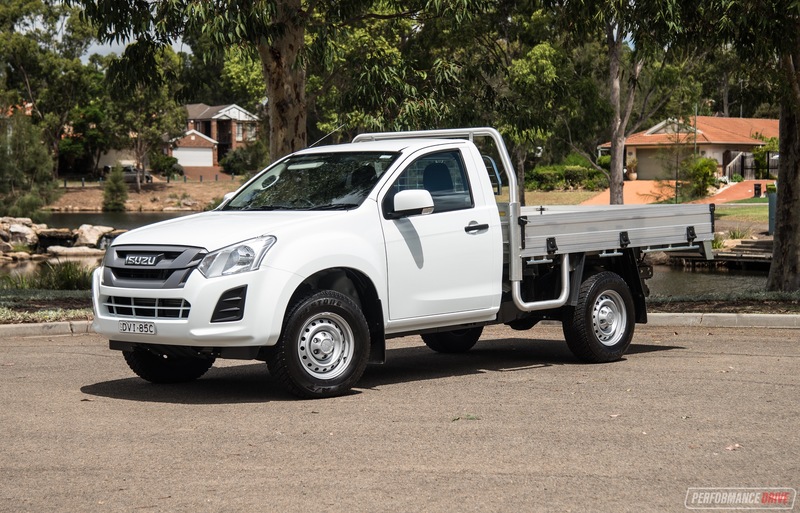 With all the now-standard extras on the MY15 model, the base model makes lots of sense for those who’re looking for value.